Creating a Vacation Bible School from scratch may not be everyone’s cup of tea, but I love it! It is an opportunity to flex my creative muscles and work with some pretty fantastic people. It was only a few years ago that I was introduced to the idea of creating my own VBS by Pr. Joie Baker while working with the churches in Sharon and Hermitage. There has been no looking back. 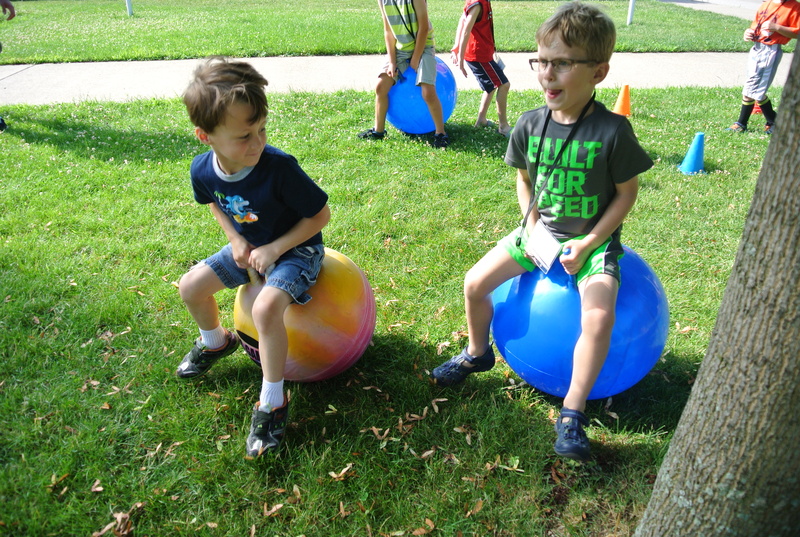 In my last four summers with St. Stephen’s Episcopal Church in Fairview, our VBS participants have been superheroes, spies, sailors, and Olympians. This being an Olympic summer, it only made sense to link this great world-wide tradition with stories from the Bible. Using the values of the Olympics and Paralympics – friendship, respect, equality, courage, inspiration, excellence, and determination – each day we explored them within the stories of Ruth and Naomi, the Good Samaritan, David and Goliath, Nehemiah, and the Parable of the Lost Sheep. The themes are highlighted in a rotation of daily activities: music, science/art, storytelling/snack, and games. We keep our VBSers and volunteers busy the entire two and a half hours they are here. hard to find the words to express the amazing community that continues to be built around this ministry. We see many of the same families, as well as meet new ones, and it is so much fun to watch the children grow from year to year. I will be honest, as I really started thinking about VBS back in April, my biggest concern was not having enough volunteers for the number of children that I anticipated. It is all well and good to have an influx of children, but you absolutely need the adults to match it. I was overwhelmed by the response to my plea for volunteers from around our St. Stephen’s community. We had members of the church, Nursery School teachers, parents, grandparents, and teens offer to share their gifts with us for the week. It was a comfort to know that we could handle a significant amount of kids in a fun and safe environment. Volunteers are the heart of this ministry and, I believe, are the reason for our success. Ministries within the church are about lifting up and sharing the gifts that God has given us for continual building of the Kingdom, which is something that I strive to do within a VBS program. Being able to mold your program to the strengths of the volunteers is one of the benefits of creating your own program. The volunteers have just as much fun as the children who participate. And in the end, VBS is truly a team effort. While much of our program remains the same, we are constantly evaluating it and finding ways to improve. One of the things that I am already thinking about for next summer is how to accommodate further growth. There is always something to adjust from year to year, but that is part of the fun! 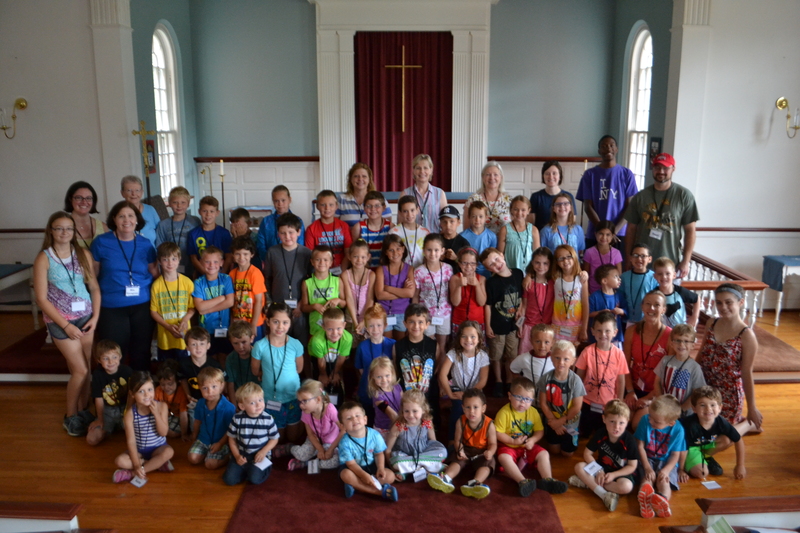 Vacation Bible School is a great ministry that all churches can offer. It is a wonderful way to engage both the church and the wider community. It also brings a wide range of ages together to learn and share with each other about the love of Christ. As I said before, I love Vacation Bible School. It is an important and worthwhile ministry that I am always happy to talk about and share with others. This entry was posted in Ministries, service, Uncategorized, Youth and tagged Olympics, Vacation Bible School, VBS, Volunteering, Youth Ministry. Bookmark the permalink.